For a chance to win, tell me what your favorite homemade soup is (and share the recipe if you’re inclined) in the comments below. I’ll toss your name into a hat and draw a lucky winner sometime mid-May. Taco soup!! Ground beef (or shredded chicken), taco seasoning, corn, kidney beans, black beans, any of your favorite beans, and tomato juice! It’s delicious topped with some sour cream and cheese!! Oh, my goodness! I’m not sure I have a ‘favorite’ soup. I like all kinds of soups….let me think. My homemade chicken noodle or my homemade potato soup. As far as recipes go, I just make it up as I go along. I don’t have a recipe. Sorry. Knoeffla is our all time favorite. chilled cucumber/dill/yogurt soup!!! Sooooo refreshing! I love homemade soups and almost daily have it with my meal. My favorite is a cabbage soup with lots of veggies. Potato soup, my mom’s old recipe. Chunk two carrots and two stalks of celery. Boil in enough water to also accommodate potatoes. While they are boiling, peel and chop into medium chunks three potatoes. When water is almost boiled off, mash mixture, add milk for liquid, heat, add one stick of butter, and lightly salt. When you spoon it into bowls, dust the top with the secret ingredient, celery salt. Serve with good bread and a spinach salad or with your favorite sandwich. My favorite homemade soup is vegetable beef. I can the soup starter every year using fresh tomatoes, corn, okra, onion and carrots. At mealtime, I saute ground beef, more onion, potatoes, add the canned starter with home- canned tomatoes. I use bought early June peas and beef stock to finish. It’s quite yummy. I freeze any leftovers or share with family and friends..
“Mom’s” Chicken Noodle soup is our favorite! My Mom’s potato soup nothing like today’s version with all that cheese. yesterday i made potato soup. boy that was good on a cold day. All time fave soup would be Split Pea!! Always on the menu after holidays that include Ham – Christmas and Easter. I love homemade veg. Soup. I always can some or put some in freezer. Butternut or crookneck squash soup. I keep it extremely simple: boil till tender, drain and place in a blender, add salt/pepper and a heaping tablespoon or so of butter and mayo. Our garden squash has been the best and so flavorful that it needs little additives to be yummy! Homemade vegetable soup with fresh out of the garden veggies. Perfect! Beef barley with whatever veggies I have. Cabbage and diced tomatoes a must. Any kind of bean soup. I make homemade venison stew. You use a pound of venison steak cut up in inch cubes. Boil it in beef stock. Add carrots celery and onion. Bring to a boil after it boils lower heat and simmer for one hour. Serve with fresh baked rolls. Our household favorite soup is Zuppa Toscana. We sub a few ingredients to make it gluten, dairy and corn free for my daughter and I. Chicken soup made from roasted chicken and homemade stock. Add rice, potatoes, or noodles, carrots, green beans and/or peas, corn…enjoy! My favorite soup is potato and sausage soup. I made this creation when I had extra canned potatoes from our garden and leftover party sausages from the Super Bowl! I also added fresh chopped parsley from my herb garden along with onion and garlic. It turned out fabulous! It may be boring, but I find so much comfort in a bowl of homemade chicken noodle soup. My children request this soup by name and it’s easy to fix enough of it to fill their bellies and then some. The bonus is that it’s quite easy to make, especially if you have an Instant Pot (though unnecessary). As much garlic as you can stand, finely minced. I use roughly a whole head of garlic. 1 tsp. of red chili flakes – This is to taste and we like it spicy. FYI, studies have proven that the people who eat spicy foods live longer. The capsaicin is an amazing anti-inflammatory and anti-microbial molecule. Enough chicken stock to JUST cover all of the aforementioned ingredients. Traditional Stove-top: Bring to a gentle boil, cover and drop heat down to a simmer to cook until potatoes are very tender. Some may add salt or pepper to season. I’m a cook not a chef, so I just work it until it tastes good. 😉 I love this soup so much I have been known to eat it for breakfast on very cold winter mornings before shoveling snow. Hamburger soup. Something my mother-law gave me. The basics are hamburger and cabbage and pretty much anything else you feel like putting in it. Homemade Chicken Noodle Soup. It’s the best I’ve ever had…family recipe that I’m not allowed to share. Boil ham bone for an hour or so, until meat comes off easily, stirring every so often. You can simmer it longer, but if you do and water evaporates, add more water, so when you are done you have a gallon or so of stock. I do this on the wood burning stove. Take off stove and let cool enough to handle, or wear rubber gloves if you can’t wait that long. Pull bits of ham off bone. (The marrow can go in here, also. )Put in container in the fridge. Strain the juice into a gallon pail. Put in the fridge overnight and skim off the fat the next day. This is your soup stock. Put it back on the stove and while it’s heating, put in a bay leaf, cut up carrots, celery and onion and put in – a cup or two of each. 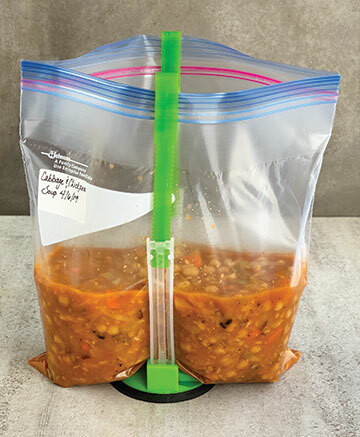 Put split peas in – half of a one pound bag, or a cup. Simmer for a half an hour, or an hour, stirring every so often, until peas are soft. Add in the meat pieces that you took from the bone. Let the whole thing simmer a little longer, 15 or 20 minutes. If the soup is too salty, add some bite sized potato pieces, about a couple cups. Or if you just like potatoes in it like I do, add them anyway. Now your soup is ready to eat. A slice of bread buttered with garlic butter and shredded cheese sprinkled on it, then heated in the oven until the cheeese melts is real good with this. And this can all be done in the wood burning kitchen range. A good skill to know if the power goes out for a while, which doesn’t happen often. When the soup has cooled some put the kettle in the fridge to cool. A big pot will last for many meals, but if you want to freeze some, scoop some into a ziplock bag after it cools. It doesn’t look pretty after it cools, but it will look good again when it is warmed up. And it always tastes good! I love making Broccoli Cheese soup. I don’t really have a recipe, just a list of ingredients that I add – broccoli, onion, garlic, broth or water, salt, some kind of flour for thickener, milk, sour cream, cream cheese and grated cheddar. Sometimes I’ll saute some chicken to add too to make it a heartier soup. I wish i made better soup because I really like about every kind….the best one i have ever made was the chicken noodle soup….. a recipe from your magazine!!! Cheesy potato soup – yummy!! I like many different soups, mainly vegetable versions. I have a vegetable base of usually corn, okra, onions, tomatoes. Then add any vegetables available: peas, carrots, garlic, beans, potatoes, black-eyed peas, any vegetable that would be great in a soup. Sometimes will add meat if want to or will add quinoa. I have canned at least 70 quarts of soup in a few days, before. I can and freeze a lot. We try to grow as much of what we eat as we can. I love homemade vegetable beef soup. Thanks for the chance this bag holder would get a lot of use with canning and storing leftovers.